The reading from Exodus 34 tells of the restoration of the covenant between Yahweh and the recently liberated Hebrews. God, we read, is compassionate and impassioned, encompassing both mercy and judgment. The covenant was something God took seriously and many people did not, occasional ceremonies not withstanding. 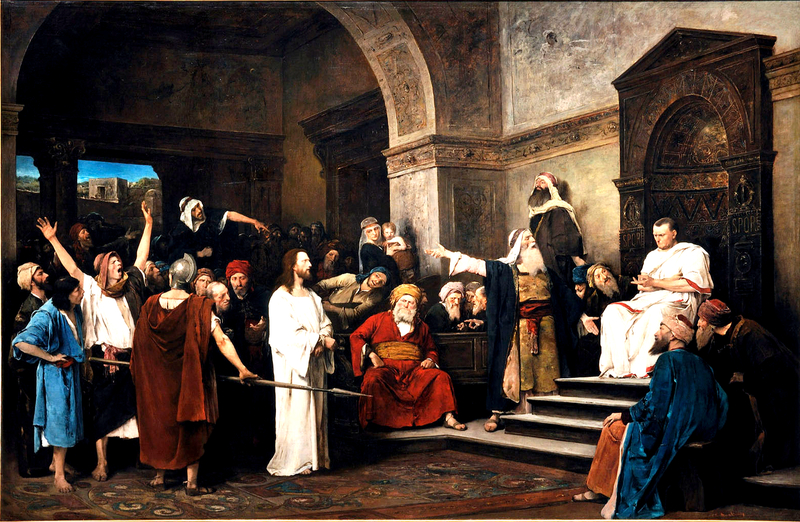 As I read John 18:28-32, the first thing I noticed was that those who delivered Jesus to Pontius Pilate’s headquarters were willing to let the Roman authorities execute Jesus yet demonstrated great concern for maintaining their own ritual purity ahead of Passover. The spectacle of people fretting about ritual defilement while being willfully complicit in the execution of an innocent man–a scapegoat, even–is appalling. Often we Gentiles are prone to point to such stories from the Gospels and condemn the failings of long-dead Palestinian Jews. Those failings deserve condemnation, of course, but what about our sins? How often have we been consciously complicit in injustice (actively or passively) and sought to maintain the illusion of righteousness? We might even fool ourselves, but we do not deceive God, who is both compassionate and impassioned, who commands justice for the widows, the orphans, and the exploited.